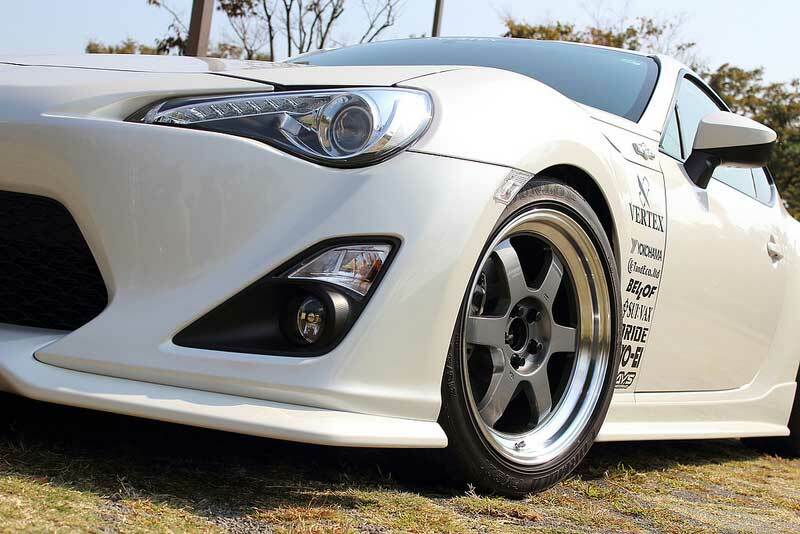 The Volk Racing TE37 are the most popular JDM Wheels from Japanese wheel maker Rays Engineering. 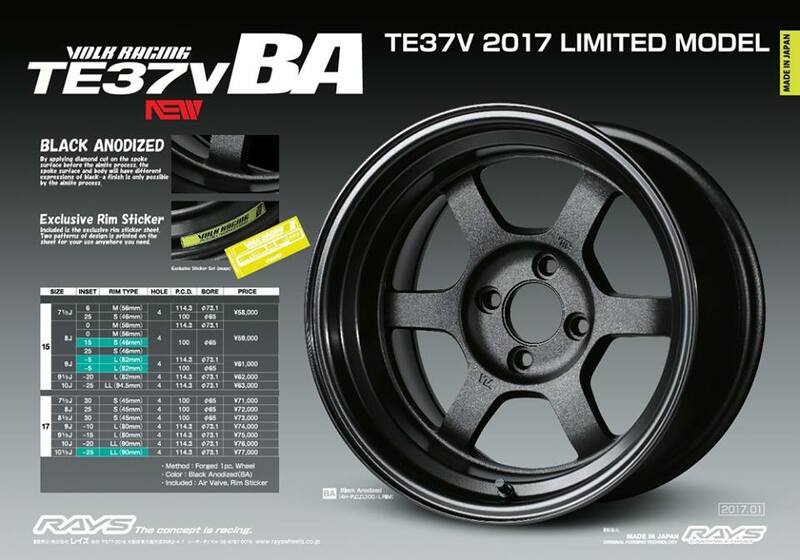 The Volk Racing TE37 also comes in different versions such as the Magnesium Volk Racing TE37MAG, Volk Racing TE37 Gravel and Volk Racing TE37 FJ. 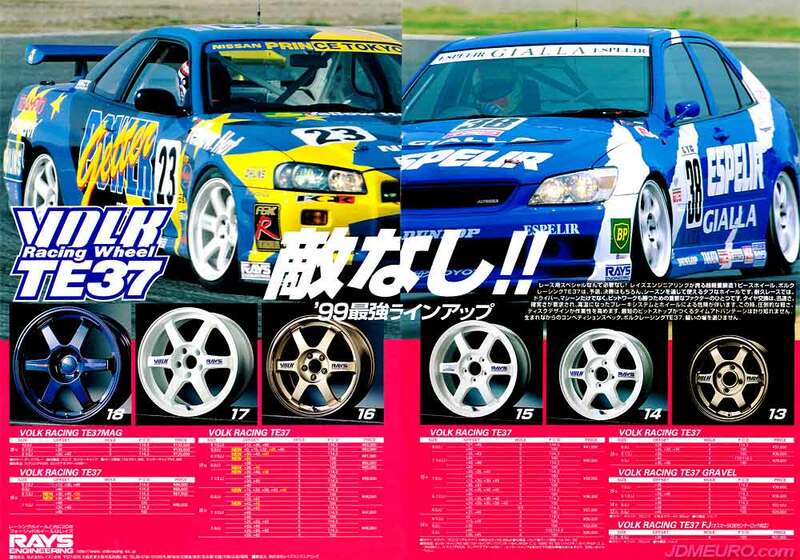 Pictured are the Volk Racing TE37 on a Nissan Skyline GTR R34 and on a Toyota Altezza [ JDM Lexus IS300 ]. 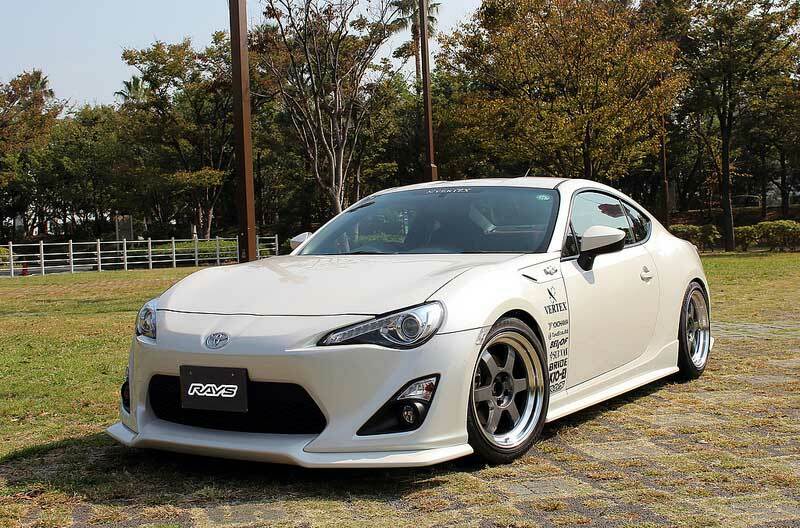 JUN Auto is one of Japans Premier Tuners. 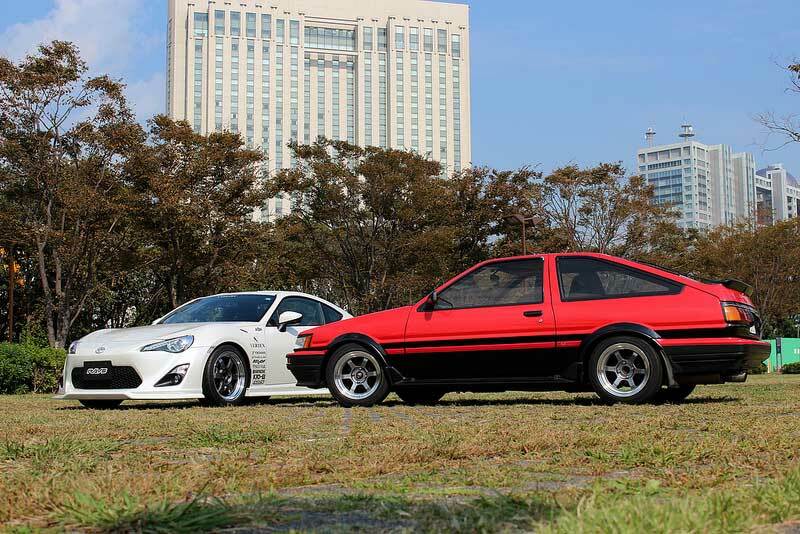 One of the cars JUN Auto specializes in is the Nissan Skyline. 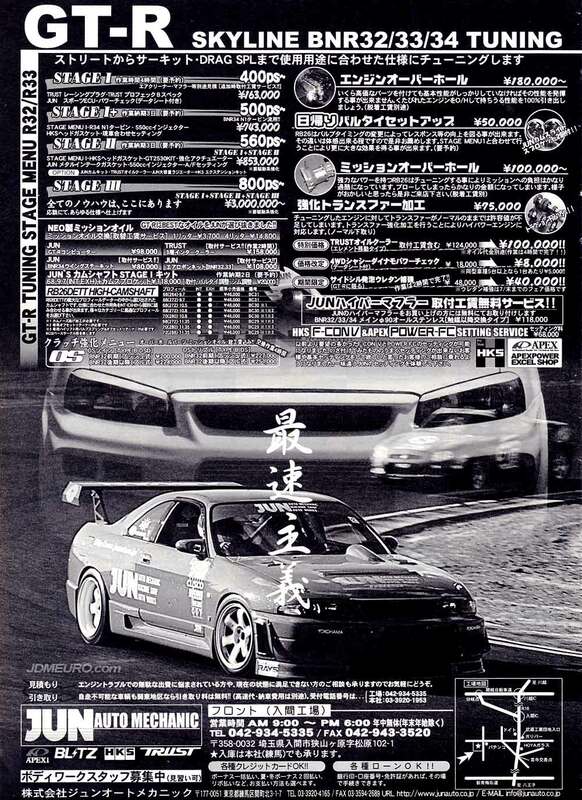 This advertisement outlines some of the product and services JUN Auto had for the R32 R33 and R34 Nissan Skyline GTR series. 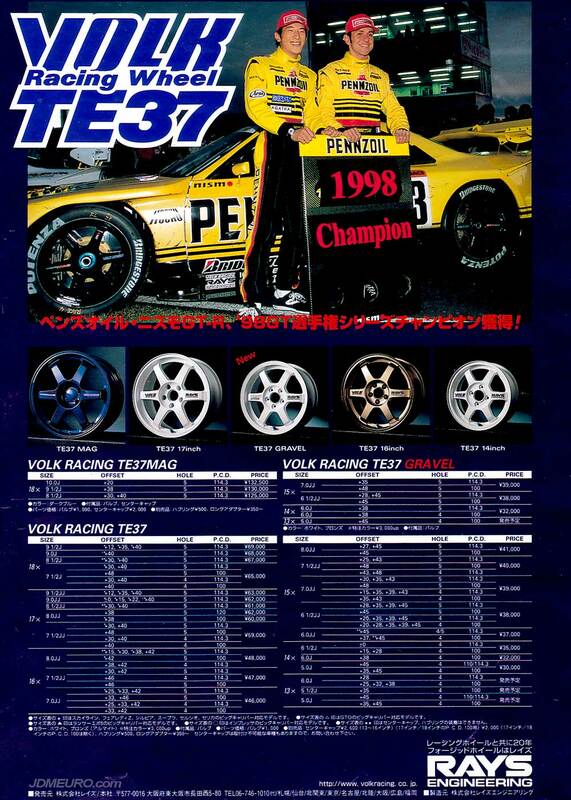 Pictured is a Nissan Skyline GTR R33 on Volk Racing TE37 Wheels.